Perhaps of more interest is Messiah's pre-Christian roots. They began in Texas as an eccentric and theatrical cover band doing the likes of Alice Cooper, Kiss, and Black Sabbath. Their stage show was elaborate and often included simulated lynchings and a mock black mass ritual. Then they ran into Jesus, and the story changed. Both Final Warning and Going Insane reflect a strong late 70's and early 80's melodic hard rock and metal style. Considering the direction metal would go in the Eighties, these records are tame. Probably, their best comparison would be to Resurrection Band, the highly influential heavy melodic rock band which began in the mid-1970's. Therefore, Messiah was quite fluent in the music of their times, and if you hear subtle mists of NWOBHM, you get the picture. But, while these albums are both types of proto-Christian metal, Final Warning and Going Insane are more melodic hard rock than anything else. Who's to Blame, Outta Control, and the cheesy Heavenly Metal probably raised the church steeple back then, but would hardly measure on the holy Richter scale today. Nevertheless, having become a Christian myself during this period, Messiah's (and other's) music was critical during this time for believers. Though not accepted in the mainstream church pew, we needed something to encourage us in the musical styles we loved. Bands like Messiah, Rez, Petra, Stryper, and many others filled the bill. (Many of us still listened to the secular stuff. But we had to hide our cassettes, records, and CDs from our peers lest we be considered backsliders.) Messiah and their peers gave us an avenue and outlet, some would say a substandard one, to not only claim Christ as our Savior, but also rock out. And we loved it. 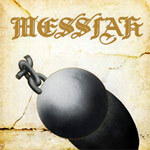 Messiah's Final Warning and Going Insane are hardly the best examples of melodic hard rock and metal from the early Eighties. But as examples of the genre in early Christian music, they are priceless and definitive historical markers of the times. Recommended. 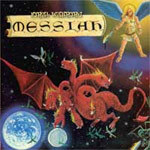 Messiah's Final Warning and Going Insane are hardly the best examples of melodic hard rock and metal from the early Eighties. But as examples of the genre in early Christian music, they are priceless and definitive historical markers of the times.